There are many risk factors related to fatigue, including where you work. For example, the Transportation (70%), Construction (65%) and Manufacturing (63%) industries reported having the highest percentages of fatigued workers. And while the survey cited various other risk factors, such as working in a demanding job, night or early morning hours, long commutes and shift work, there is one important factor that we rarely, if ever, think about – the nature of the individual. Related: A Look at Injury Rate Trends in Key Industries: Is Manufacturing Lagging Behind? That’s right – some people are more vulnerable to the negative effects of sleep loss than others. Not because of their situation or environment, but because of their personal psychological traits. Recent studies in the fields of medicine, sleep, and psychology has found pronounced “trait-like” differences in how some people respond to sleep deprivation, indicating that fatigue does not impact everyone equally, regardless of overall health, age, or baseline sleep/rest levels. Which psychological traits can amplify the impact of fatigue? A key mental ability this research has investigated is “cognitive flexibility,” one of the brain’s executive functions that allows us to switch between thinking about two different things. One simple way to think of cognitive flexibility is how well we can “switch gears” mentally when unexpected events occur and how quickly we can adapt our problem solving strategies to fit new circumstances. For many of us, sleep deprivation lowers our ability to do this. But some interesting studies have found that this is not universal to everyone. 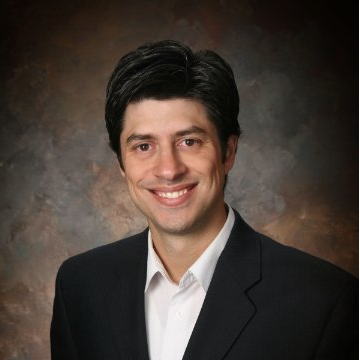 A study led by Dr. Paul Whitney4 at Washington State University in 2017 discovered that individuals with a specific gene variation are more resilient to the effects of sleep deprivation. They found that people who had a variation of the DRD2 gene performed equally well on a task of cognitive flexibility (changing instructions in the middle of the task) when they were sleep deprived for 38 hours compared to when they were fully rested. By contrast, the participants without this gene variation did much worse on the task when they were sleep deprived. The authors concluded that “Some people are protected from the effects of sleep deprivation by this particular gene variation.” If you think about most jobs in industrial sectors, employee safety often hinges upon the ability of employees to adapt to changing conditions and think on their feet. If on the average day, 7 out of 10 employees are fatigued, according to the NSC, that fatigue poses even further risk for those who lack that trait in their genes. Interestingly, some of these traits are the same ones that influence our personal safety; in other words, our SafetyDNA. An individual’s SafetyDNA refers to broad psychological factors (made up of various personality traits and mental abilities) that vary across the population and are shown to consistently predict at-risk behaviors and injuries. Individuals who score significantly lower on validated psychological assessments measuring these traits tend to have up to four times more injuries on the job, and can be over 10 times more likely to suffer recordable injuries, which are usually more serious and life-threatening. One of these traits is what we call the overall “Awareness” factor, which includes things like attention to detail, vigilance, multi-tasking, and working memory. People who score higher on tests of this factor tend to see potential hazards and remember information more easily than others, which leads to them experiencing fewer injuries and safety incidents. These specific abilities are closely tied to those referenced in the studies outlined above (e.g., cognitive flexibility, processing capability). It likely follows that those who tend to have lower levels of the Awareness SafetyDNA factor are also more vulnerable to the effects of fatigue. It may also help explain in part why those with lower Awareness levels are more at risk of injury. So what does it mean for me? Obviously, sleep loss and fatigue is dangerous to everyone – it puts us all at risk. No one is denying that, and this article is not suggesting that some individuals can simply ignore the risks of sleep loss and fatigue. However, these studies now indicate that our unique genetic make-up can make some of us more, or less, susceptible to the dangers of fatigue. These genetic differences are linked to who we are as individuals – while our experience, training, and the environment plays a strong part in shaping us, our DNA still partly determines our unique personal strengths and blind spots. It’s nature AND nurture. The takeaway is that we need to know ourselves as well as we possibly can in order to protect ourselves from the dangers of fatigue. It also means we can better protect our employees and co-workers from fatigue risks by identifying proactively how sleep loss can impact each one of them in different ways. 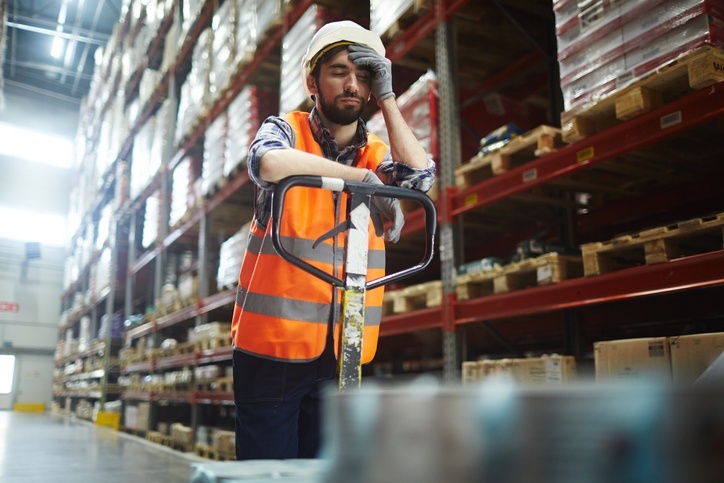 By knowing the combined risk of a team member’s work situation along with how their brain is likely to handle that situation, we can better prevent fatigue-related injuries and fatalities. After all, every bit of information can make a difference when it comes to safety. But that’s not all! Check out our next blog, where I will look at a second type of psychological traits with strong links to fatigue, which deals with how fatigue affects our mood and emotional temperament in different ways depending on our SafetyDNA. 3. Whitney, Hinson, Satterfield, Grant, Honn & Van Dongen (2017). Sleep deprivation diminishes attentional control effectiveness and impairs flexible adaptation to changing conditions. Scientific Reports, 7: 16020. 4. Van Dongen, Baynard, Maislin, & Dinges (2004). Systematic interindividual differences in neurobehavioral impairment from sleep loss: evidence of trait-like differential vulnerability. Sleep, 27, 423-433. 5. Rupp, Wesentsten, Thomas & Balkin (2012). Trait-Like Vulnerability to Total and Partial Sleep Loss. Sleep, 35, 1163-1172.